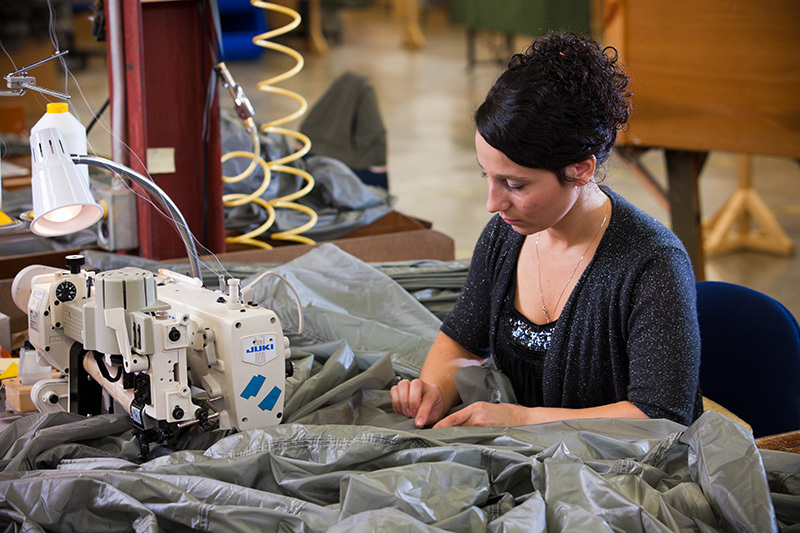 Specializing in highly engineered, technical sewn products, Mills Manufacturing has been a global leader in manufacturing military parachute systems and components for over 75 years. Serving all five branches of the United States Department of Defense and international allies, we’re a trusted supplier of military parachute systems that include airborne troop parachutes, cargo parachutes, extraction parachutes, deceleration parachutes, emergency parachutes and other related ancillary items. Our highly trained team takes pride in every stitch. Established commercial and industrial businesses in search of military-grade products can contact us for a quote for their cut and sew needs. All manufacturing is done in-house and to the highest standards. We never outsource and we never compromise on quality. Quality and delivery are our top priorities. Members of our team personally manufacture, inspect, test, and package each product we create. It gives us great pride that the armed forces have put their trust in us for decades. As a build-to-print manufacturer, we maintain a current ISO 9001 registration. Our mission is to build products that bring our troops safely to the ground 100% of the time. 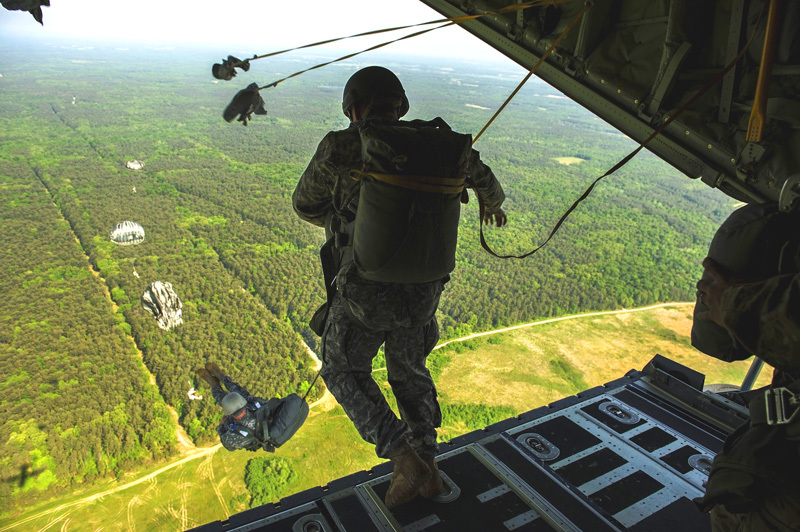 Members of the armed forces put their lives at risk with every jump, and we are proud to bring them back to earth safely every time with our military parachutes. We manufacture entire systems needed for a successful landing. We spread and cut our canopies by hand and use an advanced Gerber Automatic Cutter for components, such as bags, packs, harnesses, pilot chutes. 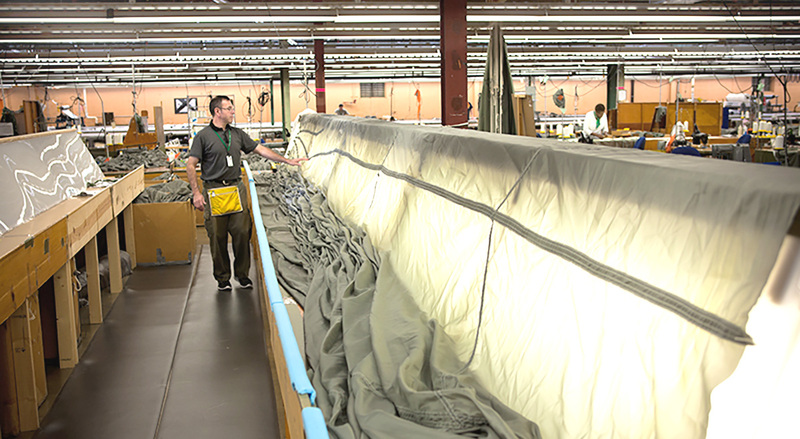 Just as we have the capacity and expertise to manufacture parachute and ancillary items for the US government, we are happy to work on large-scale contract cut and sew projects. 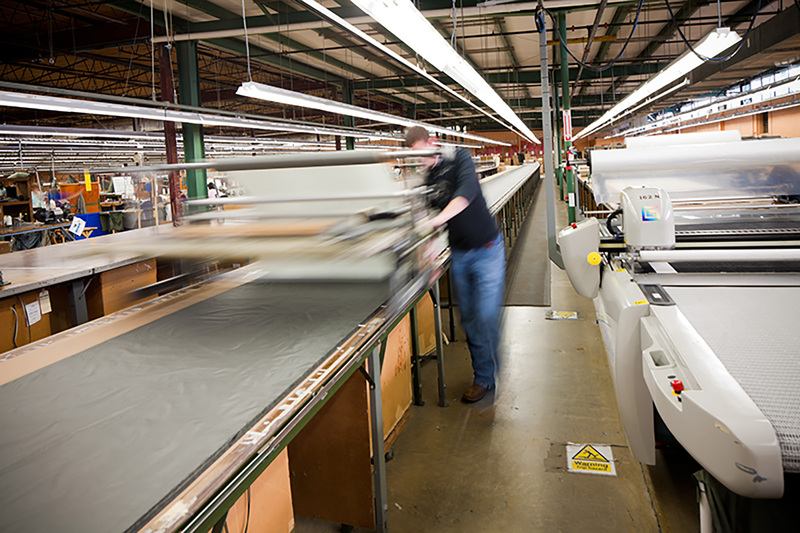 Provide us with your detailed designs and specifications for your industrial or commercial sewing job and we’d love to give you a quote. Once we finish a product, we’ll get you what you need, where and when you need it. Ground, air, or ocean delivery is available to customers around the world. Because we manufacture a textile product for the Department of Defense, we strictly follow the Berry Amendment. All of our products and all of the raw materials that go into our products must be 100% produced in the United States. 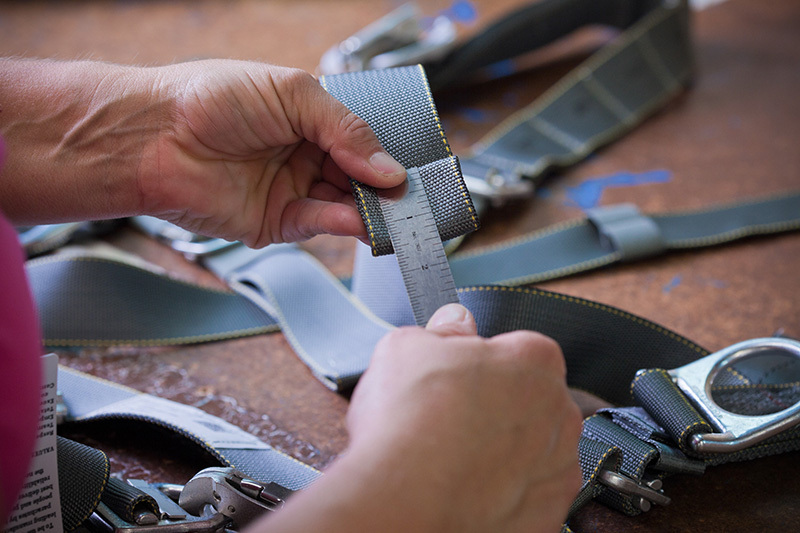 Everything, from packs and harnesses to canopies and deployment bags, are produced in strict accordance with current US Government design and drawings, and comply with all quality and manufacturing specifications. This compliance guarantees the superior quality of every outgoing item—no matter how big or small. We’ve earned the trust of the US Military and we’re committed to gaining the confidence of new clients. Working on projects for the US Department of Defense, we understand what’s expected from us, from our engineering expertise to rigorous safety testing every step of the way. Our way of doing things has proven results. We’re a family-owned and operated manufacturer located in Asheville, North Carolina. This means all our decisions are made in-house. There’s no parent company or larger corporation we must consult. Our close-knit team is united in our desire to make the highest quality and safest product on the market. Today, we service the entire US Military and more than 65 other countries. Contact us for a quote about your industrial or commercial sewing job. Learn more About Us.